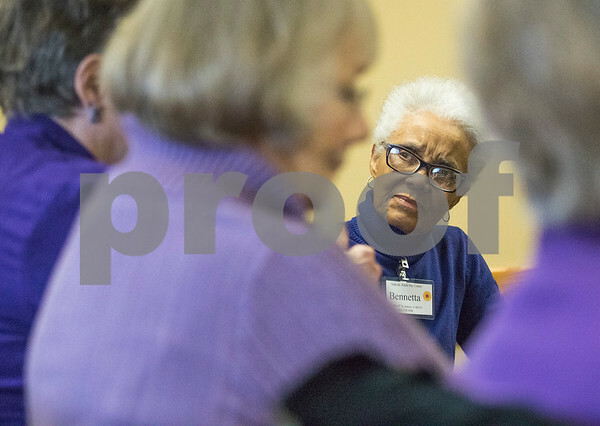 Bennetta Stearnes listens to stories of other caregivers during an Alzheimer's Association support group meeting at the DeKalb County Elder Care Services building on Wednesday, Feb. 17, 2016. The group use to hold meetings at the senior day care building before the Illinois budget impasse closed the program's doors. The members then had a place for their loved ones to go while they held their meetings.